Written by Natalia Kuna. 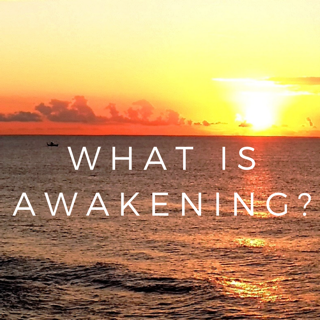 For a deeper understanding about Awakening, read this article here. You feel a profound sense of change within yourself or evident in your life, even if you cannot quite understand it or put your finger on it. You feel different, and sense something different ‘in the air’. You will also have times where you go through major life changes such as break ups, loss, family/friendship changes and so on. You might have a huge pulling desire to change jobs or location. ​Sometimes it may feel like your total life is in utter chaos and catastrophe. Tip: Welcome the transformation, there is always a blessing in disguise, and a higher reason for the change often seen later down the track when the dust has settled. The earth is rising in vibration and so are we – there is a ‘quickening’ of energy as things now seem to be speeding along. Time seems to be moving fast. We see this in technology, as well as in the raised frequency of awakening souls – when we are aligned, awake and in the flow, we start to process stuff, release and manifest at record speeds. ​We can’t seem to get enough done in one day, and our ‘to do’ lists are going crazy. We are going through so much change. But it is amazing when our true heart’s desires, wants and needs are manifesting in our lives. Tip: watch your thoughts, as they will come into reality. You begin to gain courage and confidence (in spurts) and take a plunge or leap of faith – you may step out to meet new people, do new things, embark on new journeys. Though you may hide and freak out at times, you feel compelled to discover the unknown – it pulls you. You have an innate desire to break free of your old ways and comfort zones and step into the new. ​Then you remember you have a mortgage. Welcome to awakening. Whereas once you just put your nose to the grindstone 'cos that's just what you do', you now begin to WAKE UP. You question the way in which the world is run. 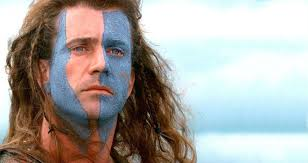 You question government, the economic system, banks, education, and any organised systems where you feel under their control and influence and like you CANNOT ESCAPE. ​You can't breathe from your mortgage, credit card debt, uni dept, utilities bills, insurance, medical costs, the list goes on. You feel like you can never get ahead. Maybe you chose a job or degree based on money. ​Money & greed start to bother you. You can't stand selfishness, ego-ism. You might feel conflicted between your material, household and fashion desires vs not being so caught up in keeping up with the Jones's. You can't watch the news anymore, or at least not as much as you used to, or it makes you question things on a large scale. You sense something is not right, the world is in chaos, and you feel a great need to do something about it. Maybe you dream of joining a rally, signing a petition, post on social media or make a stand in some way. ​You wish to raise awareness. But you are stuck in the busy-ness of your every day life. Your humanitarian nature is calling you. You feel compelled to do your part on earth. You feel a empathy and connection with animals, plants and living things. You might be a quiet activist, donator or spokesperson to causes and charity, or feel pulled in that direction. 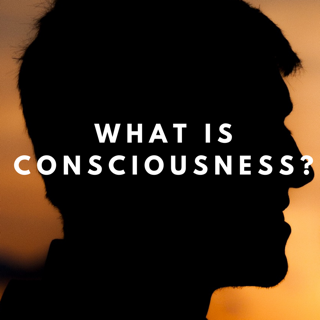 Your sense of consciousness and duty is awakening. You have a degree, climbed the corporate ladder, but now what? You hate your job or are chronically unfulfilled. Your soul seeks another direction. ​Or, you want to entirely re-route but you are worried you don't have the right qualifications or experience. Or, it's stressful to think you have to study. Your self esteem takes a toll and sooner or later your body and energy system will shut down form your deep unsatisfaction and nervousness. You seek a deeper fulfillment and sense of purpose in your life. You are yearning for something more meaningful in your life. You start to question your very own life purpose and wonder if you have a higher reason for being here on earth – you long to understand your purpose in life, to find and activate that inner calling, and to embark upon your own sacred mission(s). You wonder whether you are doing the right job and following a career path that is aligned with your higher spirit. You might feel empty or unsure, or considering a change; but also worrying about the implications. You might fear financial security and question alternative pathways. Don't' get me wrong - most people still like to watch TV, escape from the demands of the world and blob out. This is about a vivid sense that you might get at times that you could be doing something else much more fulfilling and soul-fuelling with your time. You might also have lost interest in shows you used to watch, or trending mainstream viewing that 'everyone' is talking about, but you are just not into it! You long to find yourself in creative pursuits, or find yourself in spurts of inspiration and creativity. Your soul is urging you to express yourself and be creative, but you might question having the time or energy to do so. When you do step into this creative zone, you are connecting with higher spirit and even channeling divine inspiration. So write, paint, be musical and sew. ​Start a project of interest yo you - whatever makes you tick and your heart and spirit shine and dance in joy. You find yourself wanting to clear so much out of life. From household clutter, to work matters, to old emails, to duties, obligations & committments, to toxic friendships & unhealthy people. You have been clearing so much out of your life and on so many levels – this is evident in your friendships, personal, family, love and work life, and even in your house. You are cleaning up and clearing away (or they are doing it for you). You might have felt called to simplify your life, spring clean and sell or donate items you no longer need to charity. You actually wonder why you hold on to so many things, for so long. You can now throw them away with peace of mind and it feels GREAT! Whether you are conscious of it or not, you are cleaning up your energy and preparing for the new by moving out the old and opening up a space for people and circumstances that are ore in alignment with the new you who is growing and expanding. ​On an intuitive level, you understand that everything is energy and intention is important/ So by clearing away any debris, you are not only clearing your space and head, but also making the way forthe new. 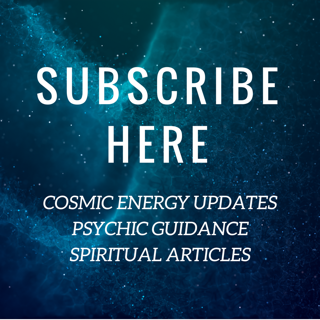 ​You might even find yourself attracted to feng shui, smudging your home with sage, or other energy clearing techniques. You will find that you go through periods where all your old, buried stuff – your pain, memories, or people and so on seem to resurface into your life or consciousness. This is all so that you can process and release this baggage in order to clear your energetic body and path for the new. ​Karma means working through energy that has been left hanging between people and situations, and often from lifetimes ago (past lives). We reincarnate with the same group of people again and again until we learn our lessons. There is a message and meaning in everything, and you are cleaning out your karmic cupboard! As you awaken and go through shifts in your life, you have a new growing awareness – and you find yourself shifting away or not clicking anymore from your old friends. You start to experience and notice toxic people and you find it harder to deal and cope with. You are now in a different place internally, energetically or spiritually, and you seek new friends and groups – likemindeds who live, breathe and speak this stuff. You wish for more love and deeper intimacy and connection in your life with your current partner, or you seek a soul mate or twin flame relationship. Your soul craves love, which is the truest and highest energy of all. You yearn for more time alone in peace and quietude. You revel in these moments and crave more, you find yourself frustrated when you can’t achieve it: “If only I had the time!” Sometimes you cannot rest, concentrate, meditate or find that inner quiet because your mind and life seem so busy, but when you do, you feel great: empowered, relaxed, and at peace. You might have felt ‘different’ all your life, perhaps you were the ‘black sheep’ of your family, or, you are now finding yourself somehow different to others. You might even have new aspects of your unique self emerging, as old parts of you melt away, or you start discovering new, buried or hidden talents and gifts. You feel on edge, restless. You feel unsatisfied and unfulfilled. You might start to question things. Doing the same thing every day has become mindless for you. ​This is also an aspect talked about in the book the Celestine Prophecy. You go through layers and layers and days and weeks of fear, self doubt, denial, worry, stress, confusion, fogginess, clumsiness (being accident prone), spaciness, anxiety, turmoil, frustration, impatience, restlessness, lack of focus, depression, low self confidence / esteem. ​You seem to plunge into depths of despair out of nowhere. You might even have a sense of impending doom or like something is going to happen. Your energy and emotions seem come and go in waves, it feels like an emotional rollercoaster at times! You might find yourself suddenly tearful or depressed, with no apparent understanding of why. It is like an influx of emotional energy drains you and you find yourself sinking quickly, like you cannot swim, are drowning, and can't come up for air. You have a heightened sensitivity. And why is this? 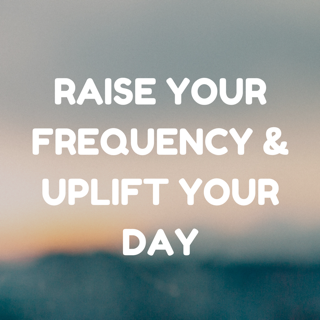 ​Your spiritual body is more in tune with universal energy as well as your psychic senses. So you are picking up on some much energy from everywhere.Not just the energy shifts that are happening, but also from other people. You have a heightened sense of yourself as an empath, or you begin to notice that you are feeling, sensing or absorbing energy from other people or the planet. Tip: Allow yourself to feel, go there, go with the flow, and then release and let go. Be gentle on yourself and just allow yourself to ‘be’. Avoid being around any harsh or toxic people and environments as much as possible – rest and relax, go out and release your thoughts via writing, exercise, gardening or time out in nature. You also have a natural need to get grounded, and are becoming more attuned to natural rhythms and cycles. With all the energetic shifts, you are now beginning to notice and feel your spiritual body (entire energy system) (as well as the energy of others), where as before you were much more closed in the lower density of earth and your physical body, or you are alternating between the two. ​Your spiritual body is now aligning and becoming more in tune with the energy that is all around us. With this comes increased sensitivity and heieghtened experiences. You are becoming more in tune with your soul, that higher part of you. You might feel tingling sensations on the top of your head – this is your crown chakra being activated, opened and downloaded with Divine energy and information. You are becoming more connected to Source and the invisible universe. 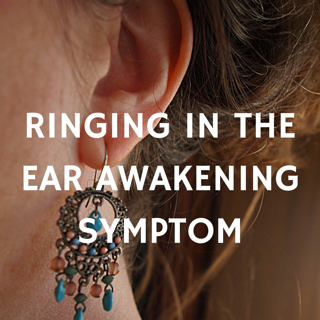 ​Ringing in the ears can be an awakening symptom when not a medical issue. ​I have written a whole informative article on hearing ringing sounds or whispering in the ear, along with an angelic channelling on the topic. ​You might find yourself questioning your religion or other organised religions, or belief systems of society or what you grew up with. ​You might question how you were told things should be, how you shoould be or live your life, or beliefs around working hard for eacmple. ​For some, you will just want to branch out and include other things. For others, you will feel compelled to break free and grow spiritually on your own. ​For many, there will be a big batle in your mind between what is right and wrong, or whether more alternative routes are safe, trusted, or even accepted by mainstream religion. Maybe you have felt torn between your religion and their heavy-set views about spirituality, the 'new age; movements and the 'occilt'. You might challenge relgious views or question whether its okay to meditate, do a tarot reading or open up your psychic or mediumship abilities. You find yourself on a spiritual quest, seeking answers to the meaning of life. ​You have a deep need to understand the mysteries of the world and the universe on a higher level. You are truth seeking. You have an insatiable desire for knowledge of truth, or to walk your truth as your integrity raises. You are unsatisfied with the 'status quo'. ​You have a natural radar that detects liers and non-truths, and you can’t tolerate it any more. You may question ‘reality’ as it has been presented to us today and throughout history - religion, politics, society, organizational structures and certain groups and individuals, you may have an interest in conspiracy theory, spiritual theorem, or search stuff on the internet a lot. . Injustices torment you. Your true self seeks fairness and justness in the world. You have a heightened desire to learn about spiritual stuff – whether that is basic yoga and meditation, or deep esoteric knowledge and ancient wisdom. It is an inner calling within you. Your soul is hungry for you to learn and awaken. You are now entering earth’s classroom of ‘higher learning’ and you can’t get enough. You become a magnet to just the right teacher or experience at the right time, and you also, are a teacher to others. ​At the beginning you seek answers in other people, organisations or sources of information that you feel is above your own self. After a while you realize that you can;t trust all sources, you dont need to always look outside of yourself, and you are your own best guru. This is pure wisdom, and it comes with experience. The real you is starting to emerge as you become more of who you really are, and start, bit by bit, to remember who you truly are and why you are here on earth – or at the least, you feel an inner calling for more fulfilment, peace, self-actualization, understanding, authenticity, and something more in your life. ​You begin the journey of ‘inner work.’ You begin to walk in the truth of your light. Others notice your increased vibration on some level and are either drawn to it, or repelled and play up, as you hold a mirror to their own light and truth. You also feel an emergence of Self Power. You are growing as a soul and starting to develop a sense of deeper awareness. You are becoming more ‘awake’ and ‘conscious’. As you become more aligned, focused and integrated, you become clearer and a purer vessel of the Divine. Hello ‘Higher Self’! ​You see repeated numbers in signs and on the clock, stuff seems to just ‘happen’ and the more you notice these ‘mini miracles’, the more they appear. ​Read my article on angel numbers here. You've been noticing the number 11 or 11:11. ​You are waking up! Click here to read a whole artcile on the 11:11 phenomenon. You find that you have a heightened spiritual awareness and ability for communication, and might be experiences things such as increased intuition, flashes of inspiration, insight and knowing, dejavu, signs and synchronicity, vivid dreams, visits from loved ones in spirit, and other spiritual or paranormal phenomenon – or a growing interest in it. You might feel the urge to create a sacred space in your home, and be drawn to angels, crystals, self help books and so on. You find yourself having increasingly vivid or symbolic dreams. They feel spiritual in nature or iike they have messages for you to decipher. You might also experience visitations by spiritual beings or loved oned in spirit, in your sleep state. You have times when you feel completely relaxed, happy and connected with your inner Spirit: the sun seems to shine brighter, everything is beautiful, you are ‘see-ing’ with new eyes and there’s a spring in your step. Others notice and you spread a snowball effect of joy and positive energy around you. You have a deeper sense of understanding about the oneness and interconnectedness of all things, both living and non-living. You cultivate a state of mere be-ing in the ‘present moment’ (or are working towards it, or feeling fleeting moments of it), and find yourself being more compassionate and humble, listening to others with an ‘open heart’. Insomnia, restlessness, sleeping less, waking up more, noticing the same time repetitively on the clock, waking up at all hours with waves of energy, feeling tired when you wake. Sometimes you will have extra energy and feel on a natural high, and at other times you are completely drained, exhausted and crash to sleep at 6pm! Headaches, flu symptoms, unexplained aches and pains, fatigue or a general sense of unwellness– your body is processing a lot. You might occasionally experience heart flutters. It might feel strange and catch you by surprise. This is known to be an energy symptom (Please always check with a medical doctor). Fatigue and exhaustion are also a part of this and can become overwhelming. Tip: Rest, be patient, go with the flow, and take care of yourself the best you can without guilt. Always seek medical advice, but also consider looking to a more holistic way of being. Some of you will find that your body cannot tolerate certain foods, drinks, drugs or chemicals anymore. Your body is changing along with your sensitivity to energy and anything that is harmful to your own body. You might find that you don’t feel so well after eating white foods, gluten, sugar, alcohol, coffee or even fly spray, strong fragrances and so on. You might find your weight going up and down, perhaps you feel lighter, or, you seem to have ‘ballooned up’ for no apparent reason. This weight change can be attributed to the facing of our fears, issues coming up to be worked through, and the build up of energy coming in. Your physical body might be struggling to cope with this excess and change in energy and create excess weight and extra energy layers in order to protect you (much like many over-eaters do subconsciously). Many of us also eat to ground ourselves. This is also common amongst many energy workers – psychics, mediums and healers. As a sensitive psychic medium I carry energy as weight from other people including my clients. I have definitely learned over time that energy releasing and clearing is not just important, it is vital. Tip: practice mindful eating, incorporate lots of fresh fruit, veg and nourishing foods, and allow yourself to feel your feelings and then release them. Walk or exercise often and take in the fresh air. Drinking a lot of water can also help as water is a natural conductor that will release energy and let it run through you. Make sure you learn techniques to release and clear energy. Exercise (even just walking) is fantastic also for energy release.